// Hooked By Kati. Guest Designer. 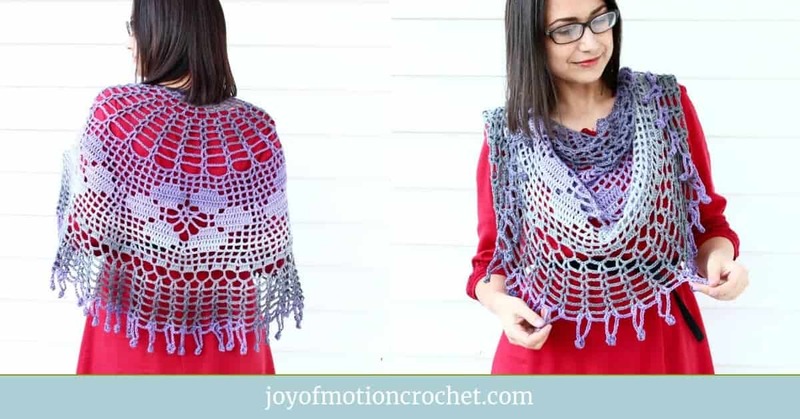 Welcome, fellow scarf-addicts! My name is Kati. 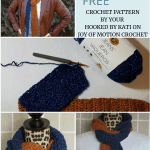 I’m a guest blogger, popping over from my home at Hooked by Kati to share an awesome new scarf with the Joy of Motion family. 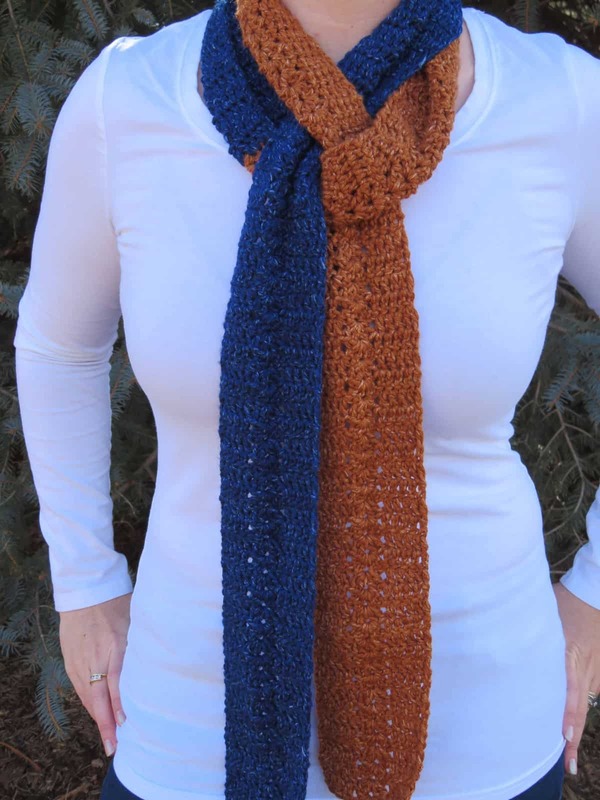 As fiber artists, we all love scarves. 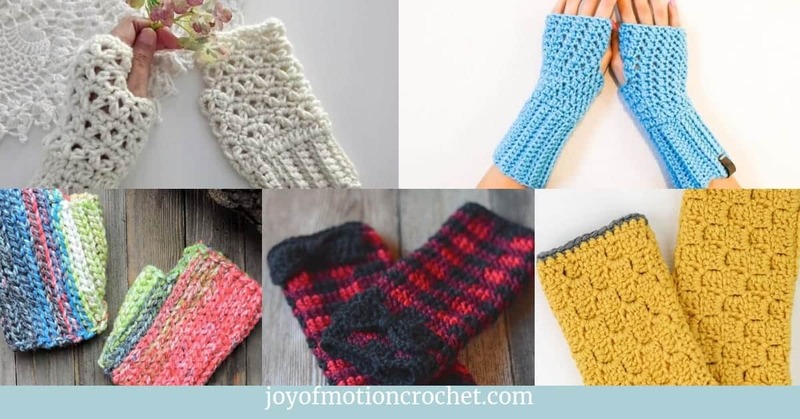 They are a first love sort of thing – that first project many of us ever finished and wore with pride using out new-found crochet skills. 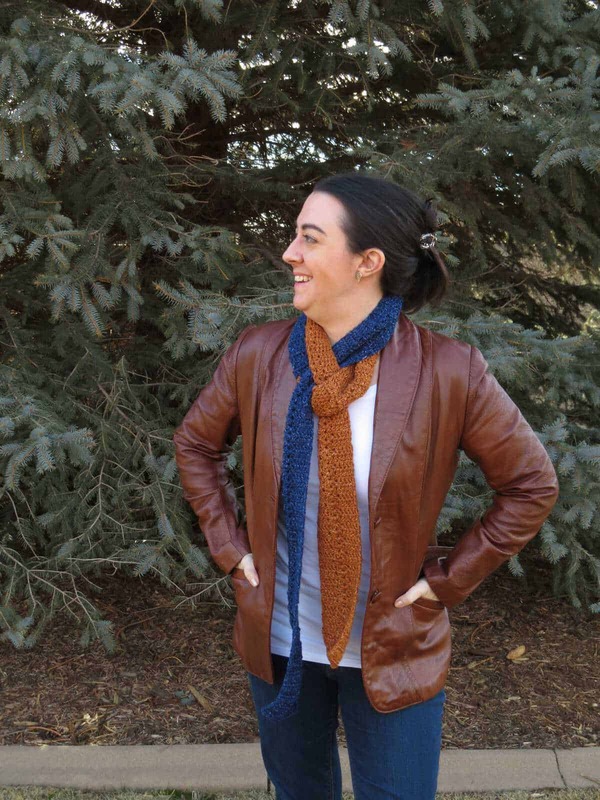 I sometimes forget how something as simple as the right scarf can completely change an outfit. Lion Brand never disappoints, and Jeans is no exception! 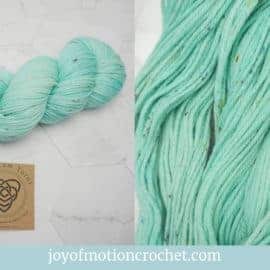 This worsted weight yarn is super soft, works up smoothly, and has wonderful drape. 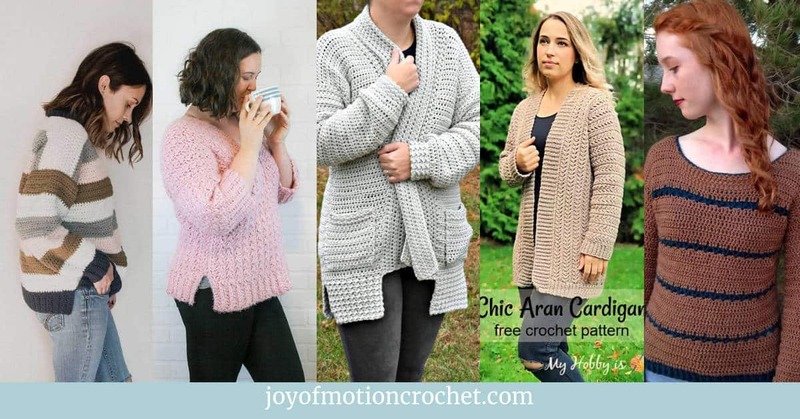 It is fine for a worsted weight yarn, but not enough to take it down a whole weight class. 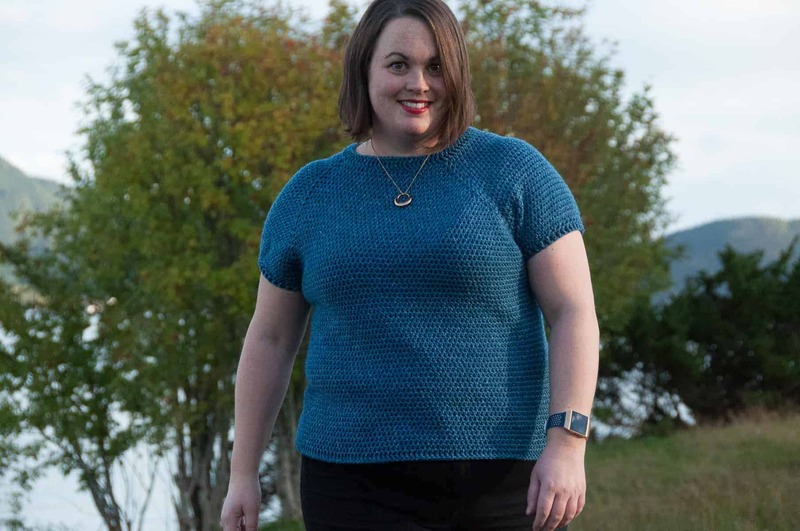 However, if you want to use it for other worsted weight patterns, I would take it into consideration. 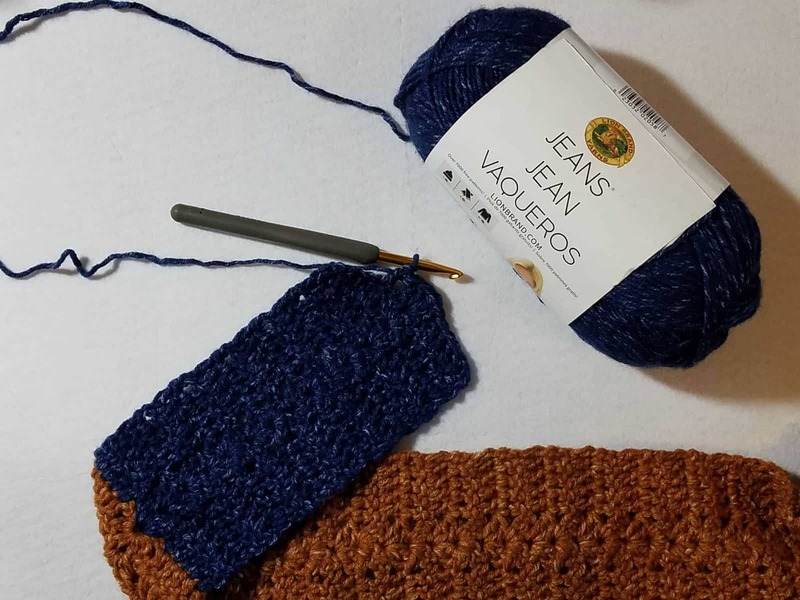 Jeans also has a touch of white worked into the yarn to give it that real denim look. 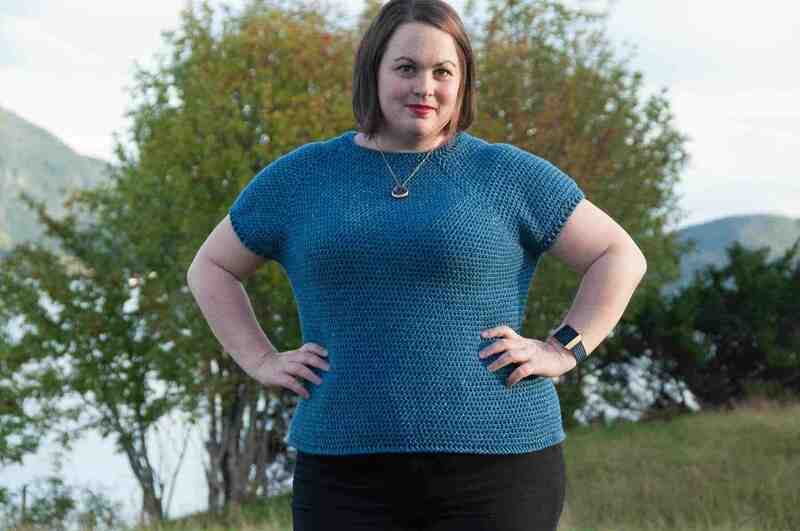 But this yarn feels nothing like denim! For this piece, I wanted something simple and fast but also versatile and stylish. 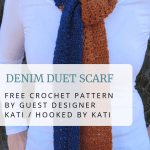 The Denim Duet Scarf consists of simple stitches we all know. It can be made by anyone from beginner to advanced. 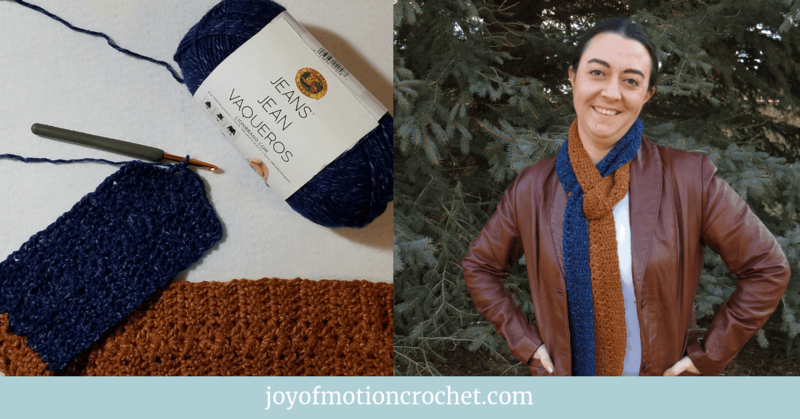 A duality of color allows this scarf to match just about any outfit involving jeans, and the length makes it perfect for tying all those intricate scarf knots that are all over the internet. 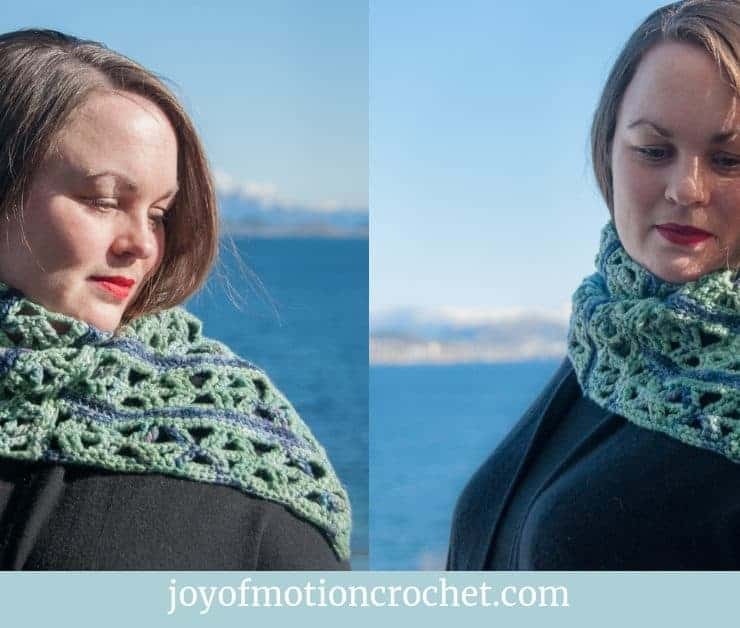 The character of this scarf is in its versatility. 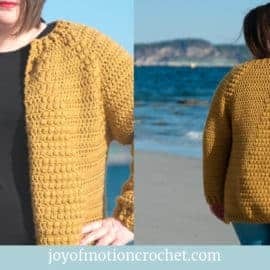 You can pair it with a simple shirt and loop in multiple times to add a little extra warmth or you can pair it with a jacket and wear it long. 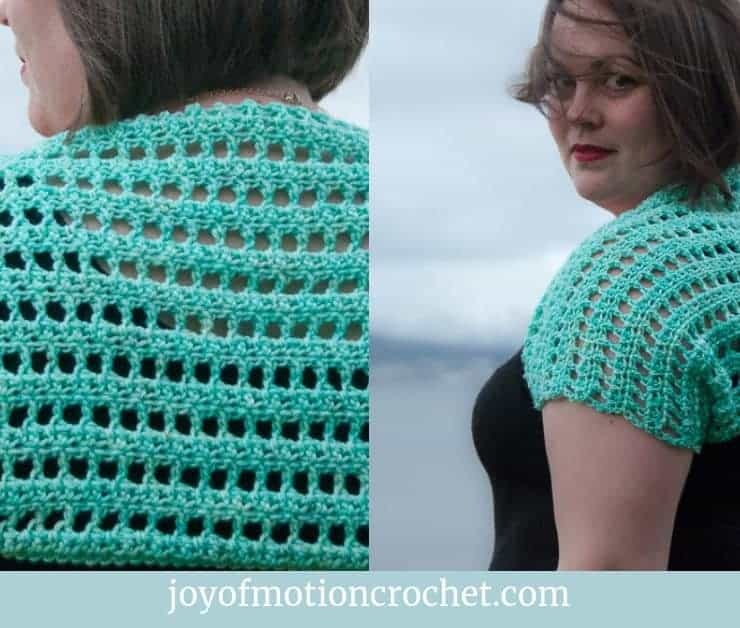 Take this beauty on vacation and make several different outfits in a pinch. Since you like the Denim Duet Scarf, these might interest you too? 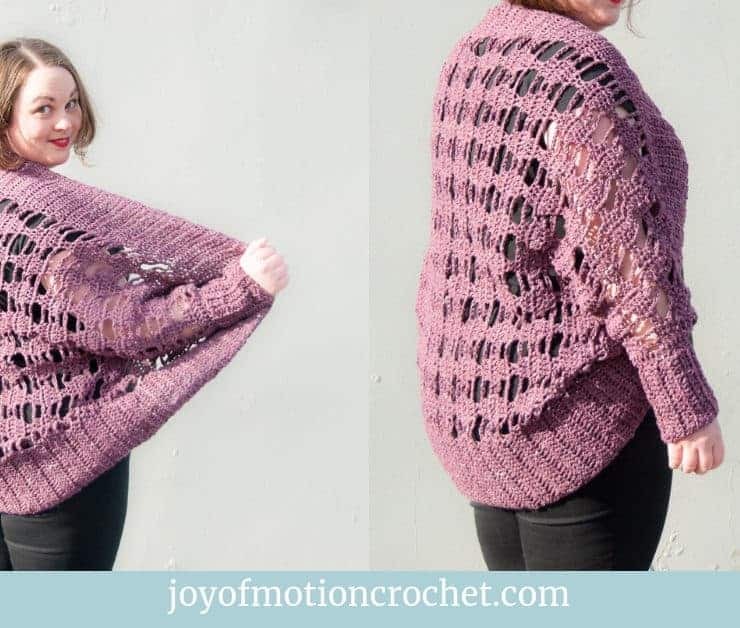 GRAB THE PDF ON THE HOOKED BY KATI WEBSITE! 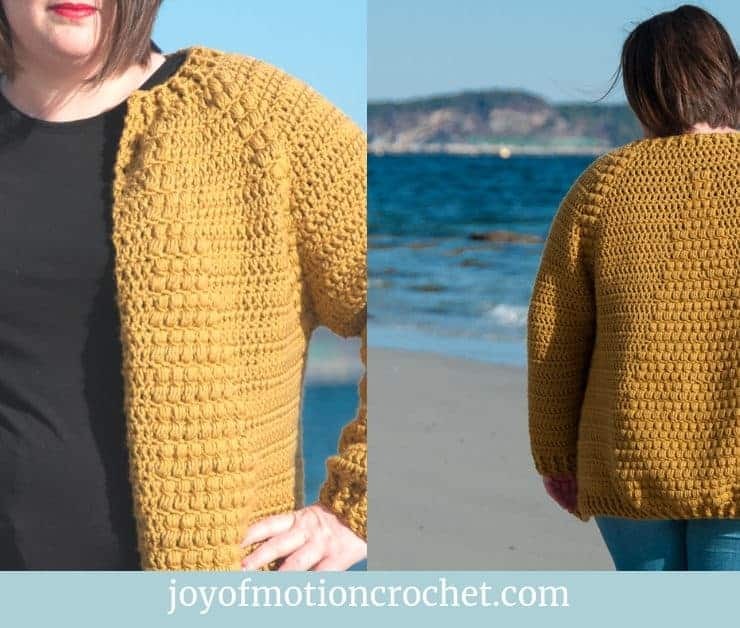 This pattern works up very fast, in less than 4 hours. 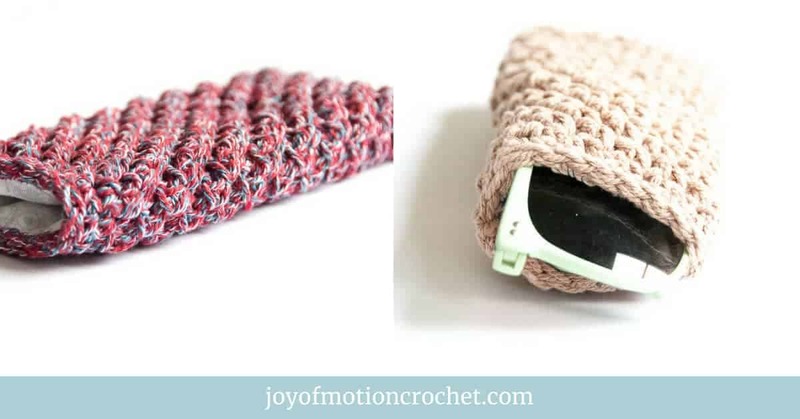 It is a great take along project for the car or waiting room. 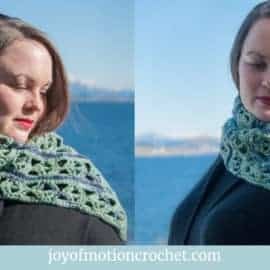 It uses simple stitches in an easy pattern, perfect for any beginner but also a great quick project for any fiber artist. 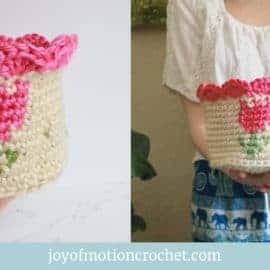 Hook I used: I used a Tulip Etimo hook for this project. I got a whole set as a Christmas present, and I really love them! I prefer to use tapered coated hooks with padded handles since I have a hook in my hand for most of my days. These are proving to be very comfortable. Tapestry needle, find one here (if you don’t already have one)! Row 3-90: Repeat Row 2. 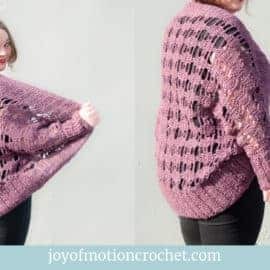 Bind off and weave in ends. Start MC1 section on botton side of starting chain of MC1. With MC2, sl st into 1st st of bottom side of MC1 starting chain. 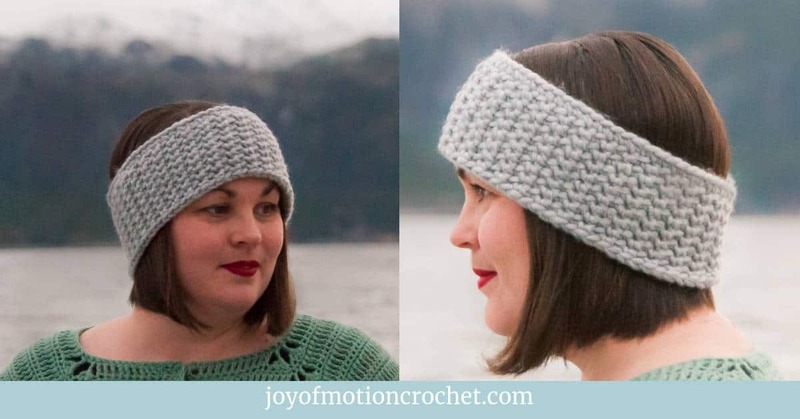 Row 3-90: Repeat Row 2. 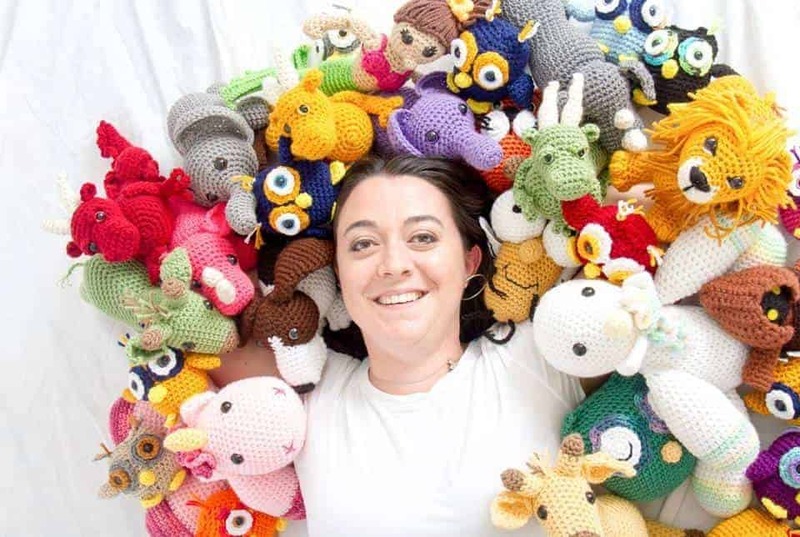 Kati Brown lives in Greeley, Colorado with her husband and two boys, all of whom are a constant source of inspiration. 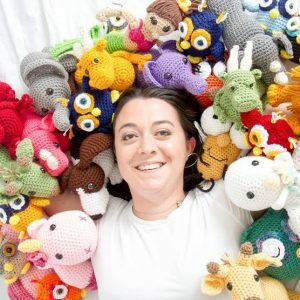 She is a regular contributor to several print publications and crochet websites, including her own where she blogs about the craft business journey. Kati adores coffee, Star Wars, and anything with safety eyes. I really hope you liked the Denim Duet Scarf! 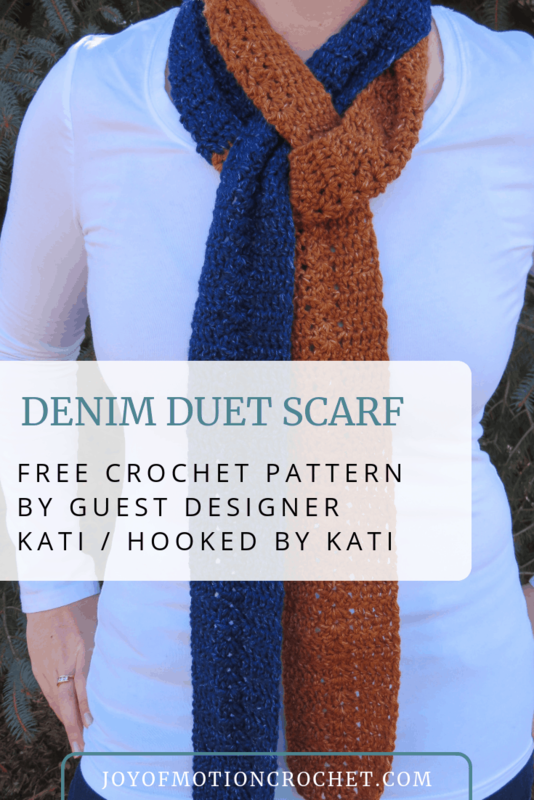 However, if you really like it, make sure to share the FREE pattern & share pictures of you’re Denim Duet Scarf that you’ve made with me. 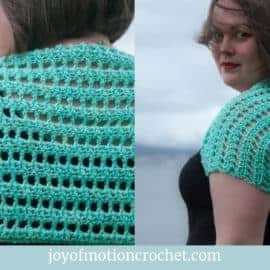 Tag me on Instagram: Take a picture of your project, use #hookedbykati or #joyofmotioncrochet & @joyofmotioncrochet or @hookedbykati!